DePAW University Canine Campus, Inc. Newsletter Archive - Happy May & Mother's Day from DePAW! Show us receipt of this email on your phone and get a free gourmet Bosco & Roxy cookie for your pup! Memorial Day is fast approaching and DePAW is just about full. We encourage all clients with reservations for this holiday to please take a moment and be sure you have received your confirmation email and if there are any vaccinations we show are needing to be updated, please update them before the time of your pets drop off. This will ensure we can get you going to your final destination as speedy as we can. You may check your reservation by calling us at 630.232.8663. Thank you! p.s. - We have already begun taking reservations for the July 4th holiday, we encourage you to make your pet's reservation soon to ensure your spot. We recently had a person walk into DePAW and ask if they could pay us to help their dog integrate into a daycare setting. 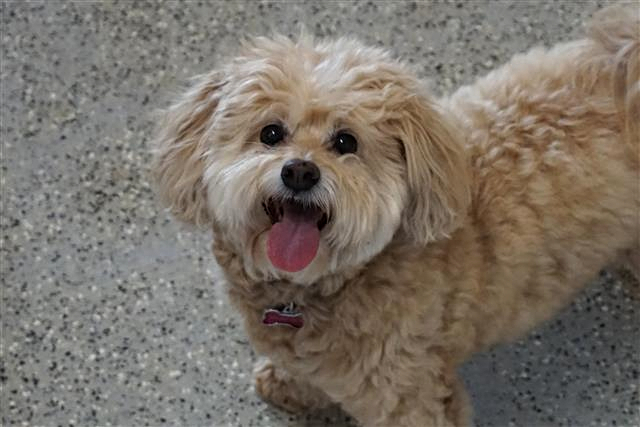 We smiled and said that it's already included when you bring your dog to DePAW daycare! Unlike most other dog daycares that put your dog right into a group and hope for the best. DePAW has expertly trained staff that has gone through dozens and dozens of hours of "hands on" as well as online training, having to pass tests on dog behavior in order to work in our daycare. They bring every new dog in on a leash, gauging their reaction, monitoring them and keeping the group at a distance while they take as long as needed to adjust and feel comfortable. If they need to do this in short periods with breaks in between, then we work them individually until they are ready to be in the group on their own. We also provide feedback to you as to how they react and keep you up to date on their progress. DePAW prides itself on keeping all your pets as safe as we can and treat them as if they were our own. Doggie daycare can be the first step in helping you solve some unwanted behavior problems at home as well. Allowing your dog time in their natural state with other dogs can be a very healthy experience and provide the outlet they need to become better socialized with other dogs and people. Come try us out, we'd love to tell you more about the benefits of doggie daycare! Let us do the dirty work of bathing your dog so you can pick up a fresh, clean, soft, lovely smelling pup! Kennel staff baths are available without appointment and can be done after your dog has been having fun playing and getting slobbered on by all their friends in daycare, or right before you pick them up from their boarding stay. We also offer Professional grooming with our award winning "Bubbles & Barks" by appointment only by calling 630.232.8663. DePAW is excited to say our award winning, world renown trainer, Chad Mackin along with his co-host to Dog Training Conversations Podcast, Jay Jack, were invited to Australia by Montignie Stuart Kennels to do a countrywide teaching tour! They are teaching workshops for other dog trainers, dog daycare providers, and dog owners alike in Sydney, Brisbane, and Melbourne for the entire month of May. We miss him of course, but so excited to share him and his incredible training knowledge with the rest of the world. We know he will return with experiences that will benefit all of our training clients at DePAW as well. DePAW is still providing training with in his absence with our incredibly talented Emily! Our next 9wk Group Basic Obedience class will begin June 28, see flyer below and classes tend to fill up almost a month before, reserve your spot now by calling 630.232.8663. Want to explore different training options for your dog? Check out our website depawK9campus.com/training for various training packages and then call us to schedule a free meet & greet with a trainer to discuss which package may best be suitable for you, your pup, and your family. Stay tuned to our Training page on our website as well as our FB page when our Trainer posts helpful training tips! With the upcoming expansion of DePAW, we are excited to bring the community more educational courses. Do you have an idea of a topic you would like to see offered in the future? Email us at education@depawK9.com with suggestions, we would love your input! The Batavia Bull Dog Jog 3K last month was a fantastic turnout! Great weather for family and furry four legger event. Thank you to all who stopped out to say hello and participate in the jog and the fun Easter Egg Hunt! Stay tuned to our website calendar for fun upcoming community events. Last weeks first Sunday Pack Walk was a perfect morning for sun, fun, friends, and furry four leggers! Thank you to all who came to join us and we look forward to seeing you for the next one on May 20th @ 10:00am. For complete details on location, guidelines, rules, and inclement weather/cancellation contact info please grab one of the booklets at our front counter or check out our FB Events page. With the warmer weather finally here, DePAW wants to put out a friendly reminder it's flea and tick season. We require pups attending DePAW to be on flea & tick and heartworm prevention not only for their own health, but for the health and safety of all our furry guests attending DePAW. Pets found with fleas or ear mites will be bathed and treated at owners expense. No exceptions. If found prior to entry, pet will not be accepted. DePAW has added an email for our clients to contact us regarding their pets health issues or concerns. Health@depawK9.com Feel free to email us with specific health related questions or concerns.